We are excited to welcome Rachel to the Sweetgrass Animal Hospital team! Rachel will serve as the new Office Manager for the clinic. 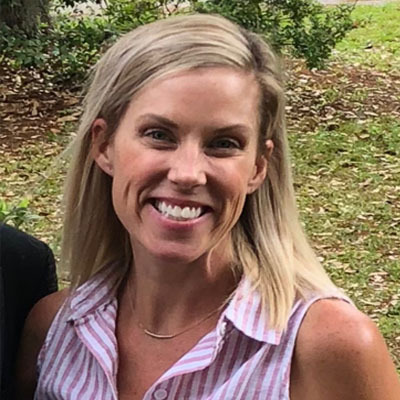 She is a graduate of Clemson University 2008 with a degree in Animal and Veterinary Sciences having a Concentration in Equine Business Studies. While at Clemson, she was very involved with Equine program being on the Eventing Team, Clemson Collegiate Horseman's Association, Horse Judging team and more. She brings with her many years of experience having worked in general practice and emergency veterinary practice. 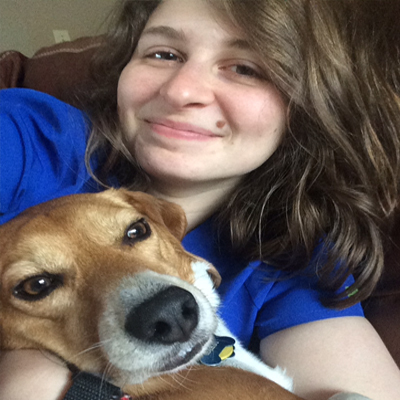 In her spare time, Rachel enjoys being with her daughter, Rose, and dogs: a Lab Mix named William and Terrier Mix named Daphne. Sweetgrass Animal Hospital is excited to welcome Chelsea! Chelsea comes to us from Tennessee where she worked as a technician assistant at her local vet office. She just relocated to Summerville at the beginning of December 2018. When Chelsea has time off, she loves to kayak, hike, bike, paint, make jewelry and candles. She also has four pets of her own, her dogs- Luna ( Terrier Mix), Disko (Border Collie) and her cats- Moushouu ( Domestic Long hair ), Chukkuh (Domestic Short Hair). Please give Chelsea a warm welcome next time your at Sweetgrass Animal Hospital. Jaguar "Jag" Palmer is the newest member of the Sweetgrass Animal Hospital team! We are very excited to welcome Jag. She brings with her close to 5 years of technician experience with her. Jag worked at a veterinary hospital in her hometown of Hopkins, SC. Jag will be with Dr. Shannon in surgery and seeing appointments throughout the week and some weekends. When Jag is not working, she enjoys knitting, video games and exploring Charleston. She loves spending time with her dog, Luna and cat, Henry. Please give Jag a warm welcome next time your in the hospital. Elizabeth joined Sweetgrass Animal Hospital as a Client Care Coordinater. We are excited to have Elizabeth work closely with our clients to make sure their pet's visit goes well. Elizabeth brings many years of clerical experience to our office. 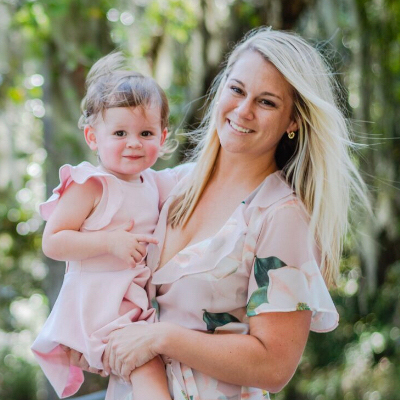 Elizabeth grew up in the Charleston area and brings her love of the lowcountry with her! Along with being an active runner, Elizabeth has a large family of her husband (John), sons (John jr and Ellison) and daughter (Sidney). She also is an huge pet lover having 6 dogs: Susie ( a Boykin), Trig ( a Boykin), Coco ( a Boykin), Bailey (a Dalmation) and Winston (French Bulldog). 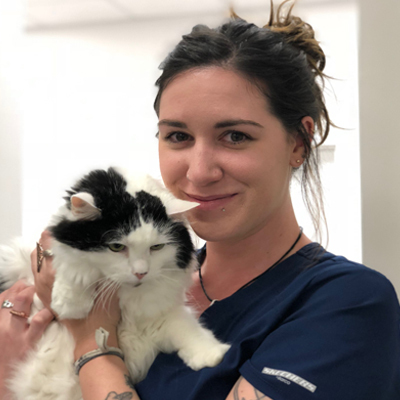 Meghan joined the Sweetgrass Animal Hospital in Oct 2018. 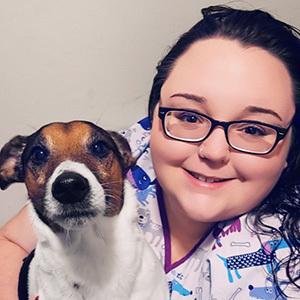 Meghan occasionally works as a Client Care Coordinator, however, her experience and passion are to provide premium veterinary care for our patients. When at Sweetgrass Animal Hospital, you will find Meghan obtaining patient's history, explaining products and services, and general treatments with patients. Being originally from New Hampshire, Meghan is loving the warm weather of Summerville/Charleston. When not working, Meghan is enjoying time with her fiance, Derek, and her two furry companions, Bentley and Stella. 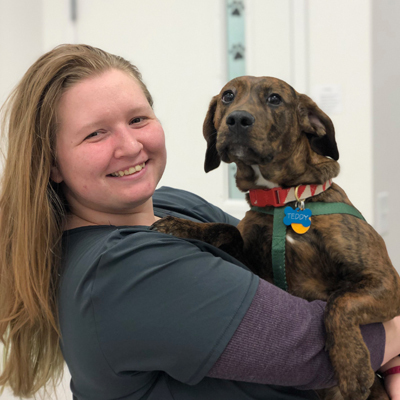 Jenna joined Sweetgrass Animal Hospital in January 2019. She is currently in her final semester at Trident Tech - Veterinary Technician Program. When Jenna is not at school or Sweetgrass Animal Hospital, she loves to cook vegan dishes, binge watch Netflix and work on jigsaw puzzles. She also enjoys the company of her 2 year old Beagle, Ben and her 1 year old pet Rat, Nibbler. We are excited to have Jenna join the Sweetgrass Animal Hospital Family! Jodi joins Sweetgrass Animal Hospital as our part time Client Care Coordinator. She comes to us from New York State. Jodi has a strong love and passion for all animals. Jodi come to us with a thirst to learn all about the veterinary medical field. Her background is working for many years at a human hospital. 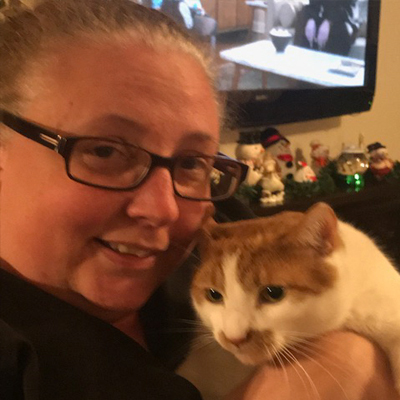 When Jodi has some time off, she enjoys spending time with her husband and 2 cats (Benjamin and MaMa Cass). Jodi loves having friends and family over for game or movie nights! Please welcome Jodi to Sweetgrass Animal Hospital.